Language gives us an opportunity to learn something new about the world, and it is a limitless space for self-improvement as while learning language you are setting different tasks. 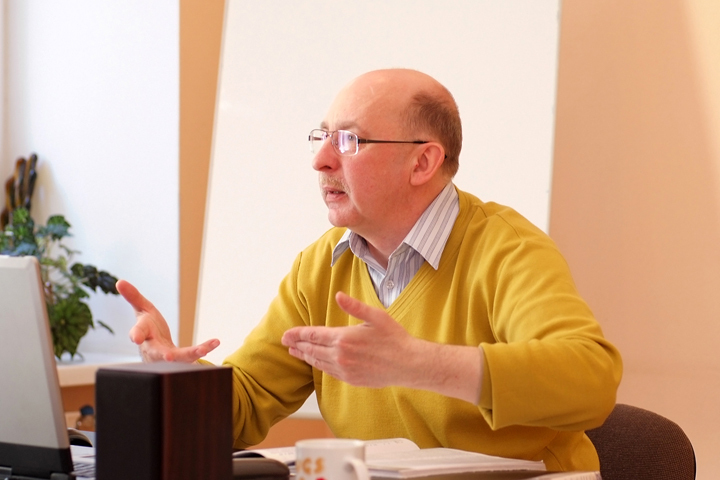 Ukraine-Europe`s teaching methods are based on the concept of close interaction between our teacher and student. Together with the study of grammar and basic vocabulary, the program at your request may include terminology of the practical sphere – including business, banking, trade, or law. Additional instruction is provided in communication skills development for telephone negotiations and correspondence. Within ninety minutes of the lesson, you will learn about tenses in the English language, listen to audio material, and master new words. After your completion of the course, you will receive a certificate issued by Ukraine-Europe, which will confirm the level of your knowledge and will provide you with an opportunity to proceed to the next level of your expertise. In a positively charged friendly atmosphere, you will realize their potential in learning multiple foreign languages. Ukraine-Europe is proud of its most efficient teaching staff. We are happy to cooperate with the best professionals of Kyiv National Linguistic University, Institute of International Relations and Institute of Philology of Kyiv National Taras Shevchenko University, National Pedagogical Dragomanov University, Humanitarian Institute of National Aviation University as well as Institute of Philology of Borys Grinchenko Kyiv University. Cost per class (90 minutes) - from 450 UAH.